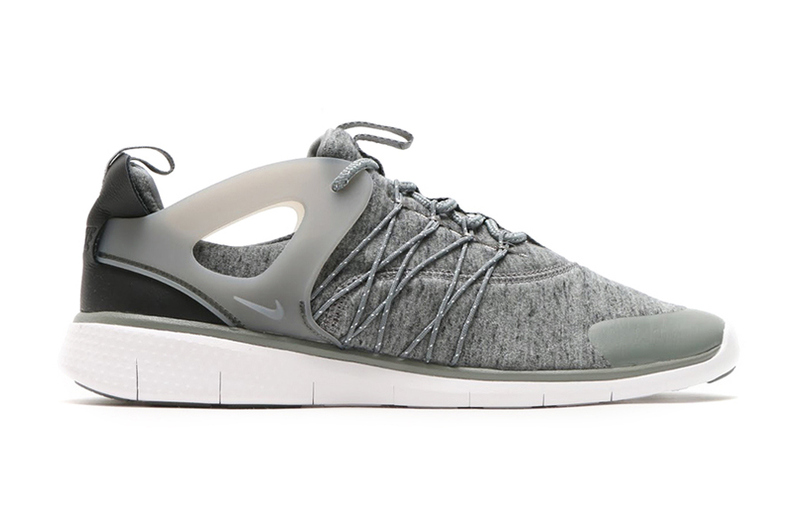 It’s Tech Fleece season for Nike fans and following up on last week’s practically unexpected Tech Fleece Sneaker release on Nike’s online store, we are giving a look into a sleek pair of the Nike Free Virtuous. If you’re reading this and haven’t heard of this sneaker before, it’s because this is a Women’s sneaker but any fan of runners should wish these were available in Men’s sizing. As its name suggests, it features a Free sole but it’s also fused with elements taken from the Air Presto as well as Dynamic Flywire technology. Although it may not be Tech Fleece, the upper is made of a warming fleece material while also sporting a black leather heel. If you’re looking for a warm, comfortable shoe to wear this fall for yourself or to buy for your lady (or even your stylish youngin’), the Nike Free Virtuous Fleece is available at Nike’s online store now.